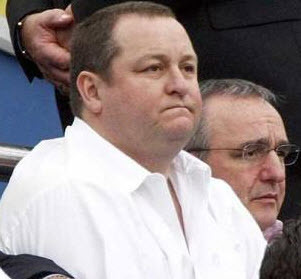 Protest against Mike Ashley | NUFC Blog. Archive for tag: Protest against Mike Ashley. Doth We Protest Too Much? Do they care about fan protests? The Joey Barton escapade continues to rumble at Newcastle United with some fans asking whether or not some sort of protest would help. It is very difficult to avoid this Joey Barton situation at the moment. A good 90%+ of the Newcastle United coverage for the last few days had been about him and his infernal Twitter machine, which has depressed me and made me wonder if it was worth chewing through the leather straps to get on here and post this morning. Ironic, then, that I’m going to post about it too. Joey seems to have induced an air of protest amongst many Toon fans, such as that suggested by my esteemed fellow writer. But I must say I have my reservations and since we don’t have such things as editorial policies on this ‘blog, I’ll bore you with my views on the subject.